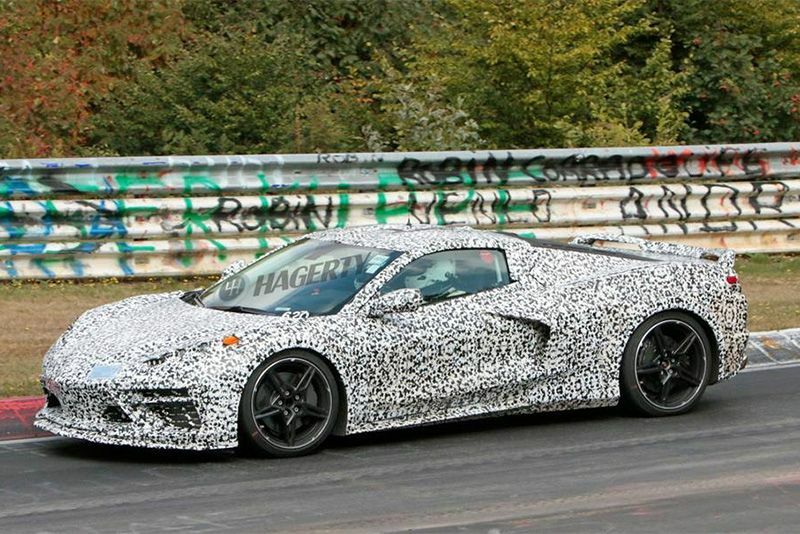 The mid-engined C8 Corvette supercar has been on the radar for a while now but it seems there are quite a few issues that need to be ironed out before Chevy will put it on a show stand. First, it was thought that Detroit would see its unveiling, then it was speculated Geneva would be on the cards, but now it seems even the upcoming New York International Motor Show won't be hosting the unveiling of the Chevrolet C8 Corvette either. As many of you may have heard, GM is moving forward with their new electrical architecture that includes at least 100 computer modules per vehicle that sit on a computer area network(CAN) bus – this is giving GM engineers grey hair as they figure out bugs in the system. Un next is the small item of structural rigidity. This is rather important in a supercar and, rumour has it, currently, the aluminium spaceframe is too weak to handle the incredible stresses that the 900-1000 horsepower twin-turbo V8 kicks out on the prototype. That amount of power is said to have twisted the chassis enough at the rear to break the glass engine hatch. The last issue suggests that the designers and engineers are not seeing eye-to-eye and can't find common ground. Apparently, the development engineers who are pushing the performance envelope are limiting fundamental design elements, like visibility from the cockpit, thus allowing ergonomics to suffer. According to Hagerty, "Unfortunately our sources won’t reveal the specific details underlying this concern". If these issues can be addressed, then, hopefully, production can start late this year for customer delivery sometime in 2020. Some are speculating that the top of the range C8 with 1000 horses will hit the $100k mark but entry-level options will hover around the $60-70,000 mark. For that price, a 6.2-litre LT2 V8 with 500 horsepower will drive the vehicle through a seven-speed dual-clutch, paddle-shifted automatic from Tremec. For the more powerful packages, prospective owners will need to wait for the LT6 and LT8 V8 options down the line. Expect new overhead camshafts, a flat crankshaft, twin turbochargers and, perhaps inevitably, hybridization to see that magical 1000hp. What will also likely be available on the top models is GM recently patented “active hybrid spoiler” with multi-mode adjustability to tailor rear downforce and aero drag for application both on- or off the race track. It's also been revealed through leaked computer-aided-design drawings that there are coil-over-damper suspension components up front while the current fibreglass transverse leaf arrangement at the back have been replaced too. Chevy has, according to spy shots, installed a two-spoke steering wheel that flat on both the top and bottom, has paddle shifters and many, many switches. The dashboard is made up of a plethora of digital screens flanking the main instrument cluster. So, with all of this happening so late in the game, it's almost surprising to hear that some Corvette sellers in the U.S. are already taking $1000 deposits just for a place on the waiting list for a C8. We're not sure if the fact it's refundable is an ominous sign but, to be sure, we're sure it won't be long before mid-engine Chevy Corvette's will be rumbling down a road near you.